OAKBROOK TERRACE, Ill., June 26, 2017 /PRNewswire/ — A series of recent growth and substantial success has brought on new opportunities for premium high-end shipping group Masterpiece International, Ltd.
One of Masterpiece’s current initiatives to manifest its growth is the rebranding of its existing general freight division, now calling it the International Logistics Solutions division. “This new name best reflects the division’s expansive offerings and our collective focus on these services,” said Thomas Gilgen, the new President of Masterpiece. Sal Sorce, Vice President of Client Solutions. Leading the team is Sorce, whose goals include building a solid core of experienced salespeople, enhancing the existing sales team, and fostering the Masterpiece trademark of client-first excellence in service. Neil Ehrlichman, Director of Client Solutions (East Coast). With proven success in driving multi-million dollar growth, Ehrlichman is looking to step in to identify new revenue opportunities and secure customer loyalty. Craig Shapiro, Director of Client Solutions (West Coast). Masterpiece will benefit from Shapiro’s extensive experience working with global multi-national corporations and passion for building client relationships. Andrew Kirkwood, Chicago Branch Manager. With 23 years of industry experience, Kirkwood is looking forward to increasing Midwest operations, solidifying Chicago as a flagship location. Wolfgang Meder, Los Angeles Branch Manager. The division’s growth initiatives will be enhanced by Meder’s 20+ years of experience and success in managing and transforming offices. 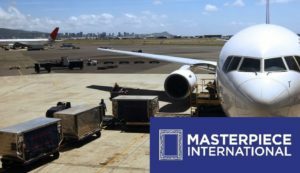 Since 1989, New York-based Masterpiece International, Ltd. has provided exceptional shipping for museums, galleries, art fairs, and more. Find out more at www.masterpieceintl.com.